There have always been a niche group of shooters pushing the limits when it comes to distance. 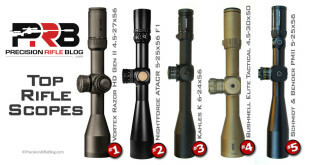 But over the past few years, advancements in manufacturing combined with better understanding and tools around predictive ballistics have ushered Extreme Long Range (ELR) shooting into the mainstream. A decade ago, the few shooters who could hit targets at a mile or more were considered super-human. Today, distances once considered impossible with shoulder-fired rifles can now be hit on-demand by just about any shooter with the right equipment and desire to learn. I’ve been a long-range addict for several years now, but that has primarily involved targets from 400-1200 yards in PRS-style matches and hunting. I’d occasionally stretch out to distances of 1 mile or a little more, but it was rare. Over the past 18 months, I’ve become intrigued by ELR. Getting first round hits beyond 2,000 yards requires some specialized knowledge and tools, and a radically different rifle setup than what you find at PRS-style matches. While the fundamentals of marksmanship and a few other things still apply, there may be more differences between ELR and PRS shooting than similarities. It’s certainly a different game all together! I’ve been fortunate to have conversations with a few of the shooters leading the way when it comes to ELR, and I thought you guys might like to join me in learning about the current trends in ELR shooting. 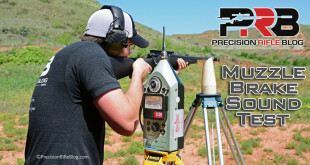 Instead of jumping straight into the super-niche rifle platforms used for engaging targets out to 3500 or 4000+ yards, I’ll start by looking at rifle setups that are effectively the middle-ground between those extreme rigs and the precision rifles I typically write about that are chambered in mid-sized cartridges like 6.5 Creedmoor and 6×47 Lapua. That middle-ground rifle chambered in cartridges like the 300 Norma Mag are ideal for engaging targets from 1000 to 2000 yards. 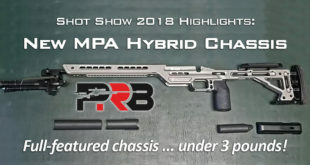 These kinds of rifles represent what the top shooters are using for matches like the Q Creek Extended Long Range PRS match that is coming up in a couple of weeks in Wyoming. 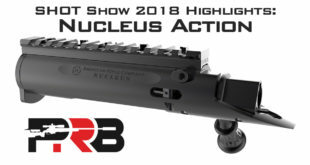 I’m also working with Bryan Litz and the team from Applied Ballistics on a subsequent post that will focus on the super-high performance rifle builds and gear those guys are using this year. The Applied Ballistics Shooting Team represent the cutting edge when it comes to ELR (winning the King of 2 Miles competition 2 years in a row), so I was excited when they agreed to help me share the equipment and tools they’re currently using to push the limits of what is possible. I’ll also share some of their tips on how to get started and lessons they’ve learned along the way. But, let’s start this series of posts by clarifying what we’re talking about when it comes to “ELR” shooting. There are a lot of opinions out there on what “ELR” is. Because it’s still a new and emerging field, there isn’t much standardization around it yet. When someone hears the term “ELR” they might think of “Extended Long Range” or “Extreme Long Range.” Some even use terms like “Ultra-Long Range,” and may use all those terms interchangeably – which makes it even more confusing! If you asked 100 shooters what is “long range” compared to “extended” or “extreme” long range, you’d likely get 100 different answers. But the diagram below is a rough approximation of the distances many shooters and competitions relate to these terms. ELR may mean something different for a .308 Winchester shooter as compared to a .50 BMG shooter. Where is the threshold between normal long range and Extreme Long Range generally considered to be? The fact is that range becomes “extremely long” at different distances depending on the performance of the rifle you’re shooting. … I’ve suggested a possible definition for ELR shooting as: Shooting beyond the supersonic range of your particular rifle system. Although this definition is good in the sense that it connects to the performance of any rifle, it fails to provide an easy, simple answer to the question: What is ELR? Based on this definition, ELR is somewhere between 700 yards and 2700 yards, depending on rifle system and atmospherics. In polling many ELR shooters from around the world who engage the sport in various ways, there is a general consensus that ELR is in the neighborhood of 1200 yards to one mile (1760 yards) and past, with 1500 yards being a good middle ground that most can accept as ELR distance. At 1500 yards, most normal rifle/cartridge/bullet combinations of .30 caliber and under are all transonic or very close at 1500 yards. To remain supersonic to ranges substantially past 1500 yards requires a larger caliber like .338 or .375 caliber which are both very common in modern ELR events, but we’re getting ahead of ourselves. For our purposes, we’ll consider ranges of 1500 yards and greater to be what defines ELR. While some may not 100% agree with that definition, I believe in this case being unified is more important than being “right.” Since there is already so much confusion around what we’re even talking about, I suggest we all adopt that definition: ELR stands for “Extreme Long Rage” and refers to distances beyond 1500 yards. We’ll resign “Extended Long Range” to a secondary term that is more loosely defined to be somewhere between “normal” long range and “extreme” long range. Through the next couple posts, I’ll share some info related to the specialized rifles and gear top shooters are using to engage targets into these extreme distances. Stay tuned! Glad you found it interesting, Terry. I promise I’m looking forward to the next few posts as much as anyone! I think it’ll contain a lot of great info. Can’t wait to share them. Sounds very interesting looking forward to your next posts. Me too, Paul! Honestly, I’m just sharing stuff that I’m passionately learning about, so I’m as excited to read what the AB Team is using these days as anyone. Exciting times! I think that you and Brian Litz are leading the ELR competitors to 5,000 yards. Thanks for all of your tips and tricks on Precision Rifle Shooting. Thanks, Art. I certainly can’t take credit here … Bryan and his team are the pioneers. They’re pouring their energy every day into forwarding our understanding and ability in this area. While there are a lot of things that have come together to make this possible, their work in predictive ballistics and integrated tools around that have really helped put this within reach of the average shooter. They’ve essentially taken something extremely technical that very few people understood, and democratized the knowledge and made it approachable and applicable by non-engineers, and then developed tools that made it into an “easy button” solution. Honestly, it’s eroded the competitive advantage for some of us engineers who have a better grasp on the nuances and physics behind this work. But I love how easy they’ve made it on everyone involved. It’s cool to know some of that stuff, but no longer a barrier you have to pass through to get rounds on targets. The impact the Applied Ballistics team has had has been incremental over the past decade, so it’s hard to fully quantify the contribution they’ve made to the shooting community over time. I won an ELR match last year, and on 99% of the targets I just dialed what my Kestrel with Applied Ballistics told me to, and achieved first-round hits. Without the technology they’ve pioneers, I might not be able to even be close enough to those targets to spot my misses! That’s how far we’ve come. 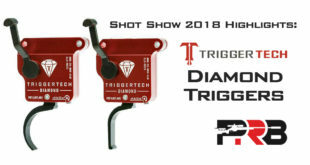 This could be the most exciting time in history to be a long range shooter, because never before in history have we been advancing so quickly. It’s exciting times! Very interesting article. It’s amazing what people’s perception of long range shooting is with the distances. Two years ago, I got into long range ground hog hunting/ target. I was using my grandfather’s 6mm rifle and shooting ground hogs at 600+ yards. Then I meet my fiance and she got into it. We are still learning precision shooting at very small targets. I am using a custom built 25-06, with a 30″ Krieger barrel on a Mauser 98 action. My woman has been using a custom built 280 remmy. Now we are waiting for her 224 Valkyrie build, because it’s cheaper to shoot. Living in central PA, it hard to shoot past about a 1000 yards. Even then it’s difficult, because of houses near by. I have a custom 408 cheytac is really great shooter, I would love to really stretch it’s legs. Anyways, keep up the good work! Always enjoy reading these articles. Ever make it to central PA and want to shoot some Chuck’s (groundhogs) at longer range, get in touch. You bet, Kevin. I agree that it’s funny how much our perception of what is “long range” has changed over the past decade. I keep thinking it can’t just continue to advance as fast as it is, otherwise we’d be engaging targets at 8,000 yards or something 10 years from now! … but who knows. For me ELR is not defined in range but in speed of the bullet and the difficulty a low speed implies. Example, for a standard atmosphere, a 308 bullet goes into subsonic at 800-900 yds, at this point the bullet starts to destabilize making hiting something past 1000 yards difficult. On the other side, you grab a .243 AI, and a bullet is supersonic at 1300yds. making it easire for the small caliber to hit at that range. Its as difficult to hit 1 mile with a Lapua .338 as its 1000 yds with a 308. ELR should be defined per caliber and speed instead of plain distances. You have supersonic, Transonic and subsonic barriers. Here is a decent articler regarding the issue. As I said above, I think there are so many different things people have in their mind when it comes to ELR that it makes it difficult even to have a productive conversation around it, at least with someone you don’t know well. I believe a standard, simple definition provides more benefit than you might be giving it credit for. I totally get the technical “correctness” of your definition … I just think “it fails to provide an easy, simple answer to the question: What is ELR?” And because it doesn’t do that, it isn’t a good definition regardless of the technical merit. … but you don’t have to agree. I’m sure there are lots of others who might not. In fact, it seems like it even took Bryan time to come around to that simpler definition … and I’ll admit it did me to. Forever I had a similar mindset. I just have seen the struggle when it comes to communication, so I see more benefit in simple than technical at this point. But to each his own! I do appreciate you taking the time to share your viewpoint. That’s certainly a valid perspective. Yeah, my way is too purist and at the end not practical. Imagine a tournament where each gun would have its own ELR zone… (and we are not taking into account wind, ToF, etc). Its a good thing what Bryan did. Nice Cal, looking forward to more on ELR. 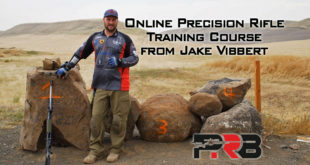 My partner Jesse and I put together 7 Practicals for extended range shooting. The 7Ps did well with their first outing at the Cheney, WA ELR competition earlier this year. Its an interesting cartridge. We’re moving 180 Gr Hornady ELR bullets (G-7 .36) at > 3050 fps. This gives a transonic range of over 2000 yds. It’s far cheaper to shoot than the 28 Nosler or the big 300s, and a much friendlier recoil, allowing you to see through your shots much easier. The Cheney match was a great venue, with targets out to 1800 yds or so. At > 2200 yds or so, the picture changes. Its shocking how much an error of 1 fps in MV, or 1 yard in distance starts to make. 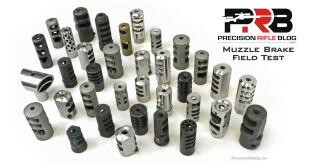 For example, our 7P, well subsonic at 2500 yds, drops nearly 20″ going from 2495 to 2500 yds, or nearly 4″ per yard! Muzzle Velocity and Wind are similar, more than 1 ” per unit error. Even for the big 300s, these numbers arent much better. This means that distance measuring equipment needs to be mil grade, muzzle velocity SD needs to be very low single digits, and you have to channel the wind gods to get your wind estimate at distance down to a few mph. This explains why, in the Ko2M a few years ago, the first days shooting (out to 1953 yds), there were many hits. On the second day, out of the 10 shooters that moved on, only three shooters got ANY hits; one got 1 hit(out of 10 shots) , one got 3 hits (out of 10 shots), and one got 5 hits (out of 15 shots). From that sample, it appears that hits beyond 2700 yds are statistically random. It would be interesting to take the last few years results and calculate p-values to make sure. Because of this, it makes sense to limit sanctioned ELR to 2500 yds. While it doesn’t have the cachet of “2 miles”, many more people will have a lot more fun, and it will be meaningful. The principle that’s espoused on AB’s ELR site for records applies. To count, you have to hit cold bore + 2 more to count for a record. If we apply that to the Ko2M, no one had targets beyond 2000 yds that counted. I will be interested to hear what others think. Hey, Paul. I love the 7mm Practical. I almost built one a couple years ago, but eventually decided to compromise by going with the 7mm Rem Mag (view post about what I built) so that I’d have factory ammo options in case I ever took it somewhere hunting like Africa and my ammo didn’t make it. I’m not sure that was the right call, but it’s what I did personally. I looked at a ton of other wildcats with similar capacity, but the 7mm Practical was a front-runner in my mind when it came to those wildcats. 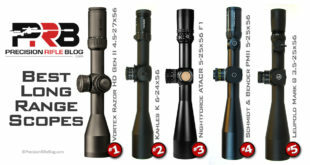 In the article I am publishing next I will talk about the merit of those 7mm magnums for that 1000 to 2000 yard range. I agree they’re a great choice. And I agree, it’s shocking to see how much a little error in MV or range can make as the bullet slows down to subsonic speeds. At that point the bullet is almost falling as much as it is flying forward, so being off my just a hair really matters. I think a more technical way to say that is your “danger space” shrinks dramatically because of the steep trajectory of the bullet at those extreme distances. That’s why so many people fixate on a VERY low standard deviation (SD) in their muzzle velocity in the ELR game. My goal is 3 fps SD, although I haven’t been able to get that for every cartridge. … and I totally agree about the p-values. That would be interesting. I totally agree with your point about how ELR Central defines world records. 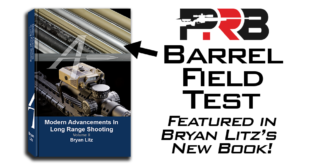 For others reading, here is how Bryan summarizes their guidelines for something to be recognized by ELR Central as a “world record”: “Basically the world record as defined by ELR Central is the maximum range at which a shooter can achieve 3-consecutive shots on a 3 foot square target, or simply: “3 out of 3 on a 3 foot square”. Many details are stipulated in the ELR Central guidelines but this is the basic idea. No sighter shots, so the first shot must be an impact from a cold bore. Then, to demonstrate it’s not blind luck, 2 consecutive follow on hits must be made within a short timeframe.” That makes sense to me for the exact reason you mentioned. That was the 2017 Ko2M match. Derek won it last year, and Mitch won it the year before (both from the Applied Ballistics team). I appreciate the comments, Paul! Thanks for sharing! 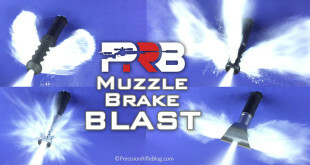 Great article, with desire, proper training, and some fun money, ELR shooting can be accomplished. I’ve hit targets at 2000 yards with two different calibers 28 Nosler and 300 Norma. Yes sir! Those cartridges are certainly capable of it. That is a pretty cool feeling when you connect with a target that far out! Great article and I cannot wait for the follow ups! I look forward to your articles and have learned a lot from the things you share. For that, thank you for your passion and time to share!!! Thanks, Misha. Glad you’ve found these posts helpful. I certainly have a passion for long range shooting and for learning, so it seems to all naturally come together for me when I get into topics like this. I appreciate the encouragement. I am retired at age 66 and have a custom 308 by Shilen. I am building a 6.5 Creedmoor on modern mauser action from CZ550, Krieiger 24″ barrel 1 to 8 twist, waiting on my A5 to be delivered by McMillan. Last weekend I shot in ‘Silent Night’ and it just wore me out. I learned a great deal and will practice and condition myself for next year at a local 1100 yard range. Where does an old man get training videos, books etc. that will help me with extended range shooting? I know reading the wind and ‘seeing’ at night are two big skills. Shooting in various positions off a ‘game changer’ bag is another. Where does one find the best information? Hey, Randy. It’s good to hear that you’re getting out there and getting involved. The Silent Night is a cool match, but that might be a tough one to start with! Shooting at night adds a whole different level of difficulty when it comes to observation (spotting shots, reading wind, etc.). It sounds like fun, but if I’m honest I bet I’d be humbled by that match! 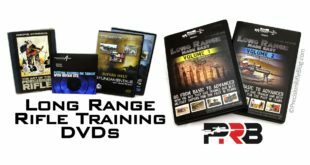 As far as training for ELR, I bought a DVD named “ELR Shooting with Applied Ballistics” and I thought it was excellent. It essentially allows you to join the Applied Ballistics team as they train up for last year’s King of 2 Miles competition, and it feels like you get to be a fly on the wall as they discuss strategy, go out and practice, and then ultimately shoot the event. It’s just $25, so I’d suggest starting there. Awesome. So looking forward to your upcoming articles. I read earlier this year what AB was working on in an issue of Recoil magazine. They had a list of equipment they were using, reasonable until you got to the Flir optics. Wow. Keep up the good work. I enjoy reading your stuff. Semper Fi. Yes sir. I read that article as well. Great article. Here is a link for others interested in it: The King(s) of 2 Miles from RECOIL Mag (Sep 2017). While that article is less than a year old, I suspect there are some things the team has learned since that time that has caused them to change/upgrade some things. It will be interesting to see what’s changed and what has stayed the same. 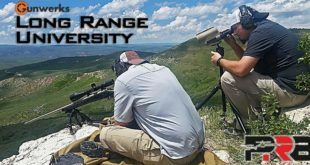 Those that live out west have more venues to shoot these distances and a that is significant reason why the Unlimited Range Shooters Association (URSA) has been having events monthly for over three years. We start shooting at 2000 yards and our recently completed “URSA 3000 Yard Challenge” went out to 3135 yards. We have two events scheduled for June, both on Father’s Day (17th), one in Northern California (NorCal, Upper Lake area) and one in Southern California (SoCal, Barstow area). Those interested in shooting the NorCal event should contact Lynn Dragoman Jr., our NorCal Match Director and CA/NV Regional Director for URSA, at rd-southwest@unlimitedrange.org or, for SoCal, contact me, webmaster@unlimitedrange.org . 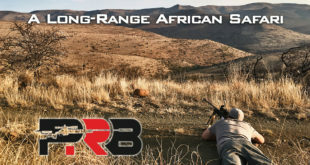 More info at http://www.unlimitedrange.org – including rifle configuration info on the Stats page. Come on out and give it a try. BTW, no fees, we shoot on public land. Cool. Thanks for sharing the info, Oscar. It is hard to find ranges like that, especially ones that are open to the public and include shots out to 3135 yards!!! Cal – our venue goes out to at least 6000 yards. We step out in roughly 500 yards increments – all based on shooter performance (at least two shooters must score 4 or more hits in 10 consecutive shots at each distance to move to the next distance). That is awesome … and a clever and fair way to promote responsible shooting. I like that. If you’re interested in ELR and ULR shooting, check out “MarkandSam AfterWork” on Youtube. They do amazing things from 22LR to 416 Cheytac and everything in-between. The how, the why, the good and the bad is always explained. Very enjoyable article Cal. In addition to the shooter’s equipment, altitude can be a huge factor. I have a couple of .264” caliber rifles with 22” barrels that are transonic at a range around 1175-1200 yds near sea level where I live, but both of these rifles performed well out to a mile at the NRA Whittington Center at ~ 6500 ft altitude. Absolutely! That’s a great point, Dean. Bryan kind of mentioned that in passing when he said “Based on this definition, ELR is somewhere between 700 yards and 2700 yards, depending on rifle system and atmospherics.” That’s part of the reason that original definition of ELR shooting being “shooting beyond the supersonic range of your particular rifle system” is too variable to be practical. If you play that out in your head, you eventually end up with ELR matches that would have to vary the distance for equivalent target engagement by the specific ballistic properties of a load and rifle system, AND the current air pressure (altitude), temperature, and humidity. I ran the ballistics on one of my rifles, and at sea level on a cold day it went subsonic at 1250 yards, but it went to 1750 yards on a hot day at the Whittington Center! But if you took the stance of a technical purist, you couldn’t just set the targets at that distance and call it good. You’d even have to move the targets throughout the day as the atmospherics change. It just becomes a mess, which is why I support the simpler definition of ELR is anything beyond X distance. Bryan and a bunch of other smart guys leading this sport decided X should be 1500 yards, and while we might argue it should be something else, it just probably doesn’t matter that much where the starting line is. There are all kinds of nuances and factors that affect the difficulty of a shot, but if we allow ourselves to get bogged down in that complexity we won’t ever do anything. Thanks for pointing that out, it’s a great point. I think bryan litz nailed the definition of what ELR is and it is cartridge dependent. ELR for a 223 is not the same as a 375 cheytac. Beyond Subsonic range has to be the definition of ELR for purists anyway in my opinion. The ELR sport is a common effort that is NOT leadered by anybody in special, and is getting results because of so many smart shooters and companies that are devoting time and money to push rifle technology. It should NOT be converted into a commercial venture and should remain a group R&D program for the benefit of all. 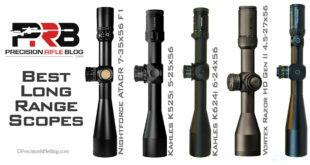 Bullet manufacturers, optical devices that allow new ranges to be attainable, brass companies that are working to make new calibers available, rifle manufacturers, and barrel makers, stock manufacturers, rifle scopes, spotting scopes, laser range finders, Ballistics software, measuring equipment and yes the organizers of ELR competitions… We ALL have been influential in getting here and what we attain as a group is the result of our common effort,. Who wins is NOT the important thing to consider, but the number of shooters that are getting first round hits at ELR distances…. This is the real achievement. Keep up the sharing and technology advancement, for the benefit of all. Whoa, Eduardo! Hold on, buddy. I think you might have misunderstood what I said. 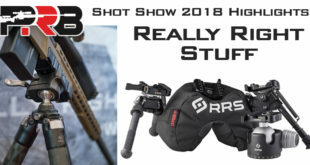 Part of my opening said “Over the past few years, advancements in manufacturing combined with better understanding and tools around predictive ballistics have ushered Extreme Long Range (ELR) shooting into the mainstream.” I don’t think Applied Ballistics or anyone else did that single-handedly. I agree … brass is better, powders are better, bullets are better, rangefinders are better, stocks are better, scopes are better, chronographs are better, muzzle brakes are better … everything is better! What a sweet time to be a shooter! All of those things, plus advancements in computer-aided design and manufacturing, plus the increased knowledge and access to tools in the shooting community, plus a thriving economy that allows people to spend money on expensive toys like this, plus small business owners willing to take risk to bring innovative products to the market, plus gunsmiths who constantly are trying to improve on their craft, plus people like you who organize matches, plus guys like me willing to test stuff and write about it, plus a lot of other things all brought us to where we are today. It was a community effort, and we can’t even quantify the number of people involved. Now I do think it’s fair to say that the Applied Ballistics team is one of the leaders in this area. They’ve not only made substantial contributions (along with others), but they also have a track record that proves they can consistently hit more targets at extreme ranges than just about anyone out there. I’m not saying they’re the only guys that know what they are talking about, but surely you’d agree they’re among the experts in the sport. I know I’m certainly interested in learning from them. I may come see the match this year. Not sure if I’ll be able to make it both days or not, but hopefully I’ll at least be able to see the finals. Not sure yet, but I hope to make it. Of course AB is one of the leaders and they are doing an awesome. I am happy for them as they are MY FRIENDS . All I say is that I want you to see the big picture , of all the technologies and techniques that are being developed for ELR by teams, shooters and manufacturers. This is what will change the way we shoot in the future… our common effort. You have a fantastic blog which is VERY technically oriented and whose readers will appreciate the information about what is really behing ELR advancement. Please count on me if you need anything. Thanks, Eduardo! I appreciate that. Hope to see you at the upcoming Ko2M match.